Iteration is an important concept in TOGAF. Enterprise Architecture requires a very flexible development process, where steps and phases are frequently repeated. 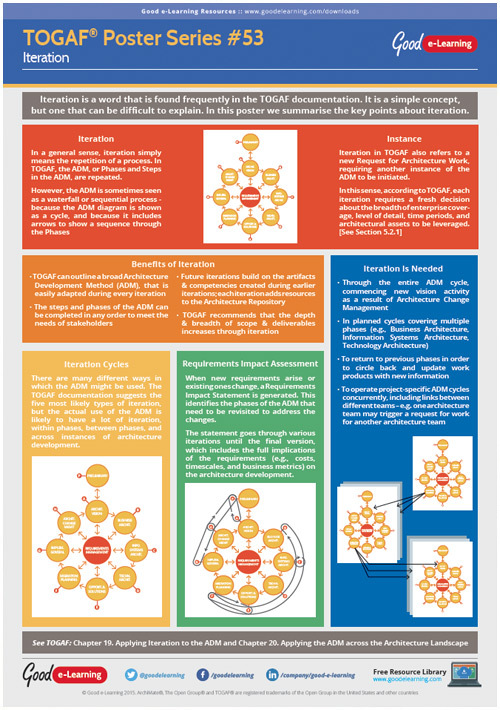 This poster explains the key aspects of Iteration in TOGAF.